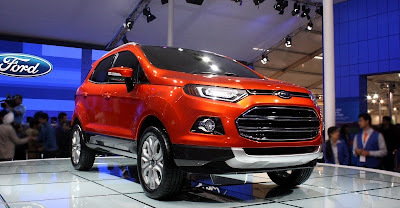 Carnation Auto Blog: What Is The Best Thing About Ford EcoSport? What Is The Best Thing About Ford EcoSport? Ford EcoSport will definitely attract tech savvy people in India for one particular reason, which I will reveal in this article. There are too many apprehensions now about EcoSport’sbattle against Duster. For some people, EcoSport is small but it is mini SUV hence the size is well justified. Ford EcoSport looks stunningly masculine and contemporary. In India most people look for three things before buying a car, they are Looks, Mileage and Price. Most Indians would like to have a car with enough space inside and well defined attitude outside so I am not going to write anything technical about EcoSport but I have to mention that the best thing about EcoSport is not its looks, mileage or affordability. It’s something, which most of us don’t know. Well, let me tell you Ford EcoSport is a huge car compared to Alto. I hope you agree but do you know EcoSport has only 1 litre petrol engine while Alto has 0.8 L, which is only few litre more. So, why EcoSport is using 1 litre petrol engine? The answer is - Ford EcoSport will have the illustrious Ecoboost Engine. Developed by Ford Motor Company, Ecoboost is direct injected, turbocharged engine, which is only available in high-end cars. Ecoboost helps increasing fuel efficiency by 20% and it also reduces greenhouse emissions. So, Ford EcoSport is much more eco-friendly than other cars for sure. EcoSport claims to provide an average mileage of 20 Kmpl. If we think about SUVs, it’s only the masculinity that comes to our mind but in case of EcoSport it’s the mileage, which also plays an important role in making a purchase decision. There’s sophisticated “split cooling system” in the Ecoboost engine that automatically helps in warming the engine for reducing fuel consumption. Ecoboost uses cast iron instead of aluminium hence it needs less energy to warm up. 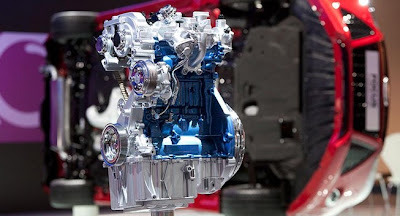 Ecoboost engine emits only 140g/km CO2 that makes EcoSport one of the most eco-friendly cars available in its segment. Hence the petrol variant of EcoSport is really a winner before its launch. What do you think?